In one week, I will be moving! Well, moving from a small condo into a single-family home, hopefully the home of my dreams! Haha, after all the moving, house hunting, house showing, and processes, I’m ready for this to be the last house of my life. My husband is another story. I have been pretty incapable of writing lately. I’ve done SOME writing, but it’s little stuff and more for practice than anything. I have a lot of plans, especially when I get in the new house. I have a lot of WIPs to work on to get ready for betas and my editor, and it’s my goal to get to them this year. I know that should be an easy goal but for me, it’s a challenge. Besides the WIPs, I am accumulating a list of short story anthologies that I want to enter. I’ll probably be looking into that as well. 😀 I think the space would be very creative if I did that. It would be a big project but definitely enjoyable. But of course, this is just one of many projects I want to do. 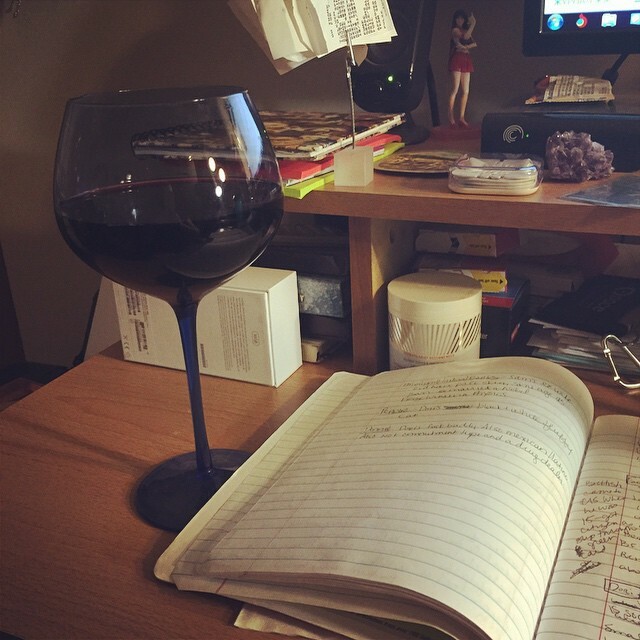 I just hope that 2016 is productive for writing and great for creative energy! I’ll be back soon, hopefully less frazzled once I move in. I know I’ve been a little slow on updating my blog posts. I have been totally busy and dealing with a small cold, so some things have had to take a backseat. I am regularly editing Killer Orange as well as working on the cover design. I’ve been reading A LOT as well. I hope to get back on my blog schedule either Wednesday or Friday. See you all then! Cheers. 2015 is here! Happy New Year! I know we’re four days in, but I’ve been trying to catch up with things after the holidays, which has been rather difficult. I’ve been trying to post where I can that “Unbridled” is still on sale for $0.99 through the month, so that takes time as well. RL has thrown some curve balls as well: a party here and there, a funeral, housework and a sick dog. They all tend to eat up time. I worked on a blog schedule for this year in an attempt to be a more proactive blogger than I have been. It’s still going to be difficult, but this comes with the indie author career so I’m ready to make the effort. SUNDAY – Excerpts! Excerpts on all current projects as well as promos! Alright then! Let’s see how it goes. I’ll be posting Monday’s blog first thing tomorrow. See you then.